Faulty parts of living brains have been replaced by electronic chips, in an astonishing and controversial scientific breakthrough. It’s a move that has been anticipated many times in science fiction, with creatures such as The Terminator, a ‘cyborg’ hybrid of flesh and machinery. But now, researchers at Tel Aviv University have successfully created circuits that can replace motor functions – such as blinking – and implanted them into brains. They hope the technology could in the future help people suffering from brain malfunctions such as Parkinson’s disease – by replacing damaged or malfunctioning tissue with chips that perform the same function. ‘Imagine there’s a small area in the brain that is malfunctioning, and imagine that we understand the architecture of this damaged area,’ said Professor Matti Mintz, a psychobiologist, speaking to the BBC. Mintz has already successfully implanted a robotic cerebellum into the skull of a rodent with brain damage, restoring its capacity for movement. However, anti-vivisection campaigners have described the experiments as ‘grotesque’. The cerebellum is responsible for co-ordinating movement, says Mintz. When wired to the brain, his ‘robo-cerebellum’ receives, interprets, and transmits sensory information from the brain stem, facilitating communication between the brain and the body. To test this robotic interface between body and brain, the researchers taught a brain-damaged rat to blink whenever they sounded a particular tone. The rat could only perform the behavior when its robotic cerebellum was functional. According to the researcher, the chip is designed to mimic natural neuronal activity. ‘It’s a proof of the concept that we can record information from the brain, analyze it in a way similar to the biological network, and then return it to the brain,’ says Prof. Mintz, who recently presented his research at the Strategies for Engineered Negligible Senescence meeting in Cambridge, UK. In the future, this robo-cerebellum could lead to electronic implants that replace damaged tissues in the human brain. ‘This type of research raises enormous ethical concerns, let alone the poor animals whose lives are wasted on dubious and ego-driven experiments,’ Jan Creamer, CEO of the National Anti-Vivisection Society, in an interview with the BBC. As a futurist, I too watch these emerging fields quite closely. 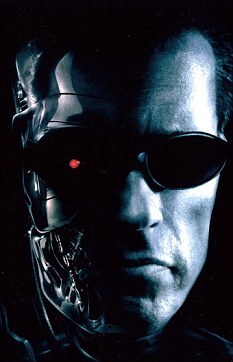 And since the whole “cyborg” thing is one of my favorites I just had to stop and check out your content. I’m going to assume by the fairly large amount here that you’ve at least been around this block a couple of times yourself and are probably more than aware of just how close all that “future” is. But if you don’t mind, I’d like to take a moment and help let some of your readers in on it a bit more. If we use this definition as a common understanding of what a “cyborg” is, it becomes clear quite early on that we literally have cyborgs among us even as we speak. At just a year old, Oscar had to have both legs amputated below the knee. Something Oscar views as just part of a larger journey. A journey that has taken him all the way to the 2012 Summer Olympics in London. As a world class runner in the 4 x 400 Meter relay, and 400 Meter dash. He is the T44 world record holder for the 200 and 400 meter events, and was previously the world record holder for the 100 meter as well. Although the Olympic committee did not view Oscar’s prosthesis’s as giving him an unfair advantage in the Olympics, his high tech legs have certainly done so during the course of everyday life. Devices designed in order to help enhance auditory function have been around since 1898. Known as the “Akoulallion,” it is a far cry from the current level of technology in the Cochlear implant (Bionic Ear) which is actually surgically implanted into the patient. Then there’s the pacemaker, the insulin pump, the artificial heart, and various other prosthetic s.
In 1978, a man by the name of Dr. William Dobelle was one of the first scientists to produce a working brain interface to restore sight. A single-array BCI containing 68 electrodes was implanted onto the visual cortex of a man named “Jerry.” This prototype succeeded in producing phosphenes, or, the sensation of seeing light. In 2002, Jens Naumann, also blinded in adulthood, became the first in a series of 16 paying patients to receive Dobelle’s second generation implant. The second generation device used a more sophisticated implant enabling better mapping of phosphenes into coherent vision. Immediately after his implant, Jens was able to use his imperfectly restored vision to drive an automobile slowly around the parking area of the research institute. And this technology is getting even better. But all that isn’t what we want to really hear now is it? I’m sure what your readers want is something out of the movies! “Laser rangefinders” for eyes, “slaved” to a “CNS enhanced precision firing platform,” combined with a state of the art, “covert communications system, all tied into an implanted CPU designed to run it all. Unfortunately though, I believe Google and iWear have ruined that future for now with their “augmented-reality glasses.” Because devices such as these do not require any type of invasive surgery and will be able to display content from virtually any device in the near future, I can’t see the general public moving towards commercial development of surgically implanted processors or similar devices. But so what. So I have to keep the processor in my pocket for now. I can still have the rest today!